Mira Agile > Exposed Thermostatic Shower Valve With Rigid Riser Kit. 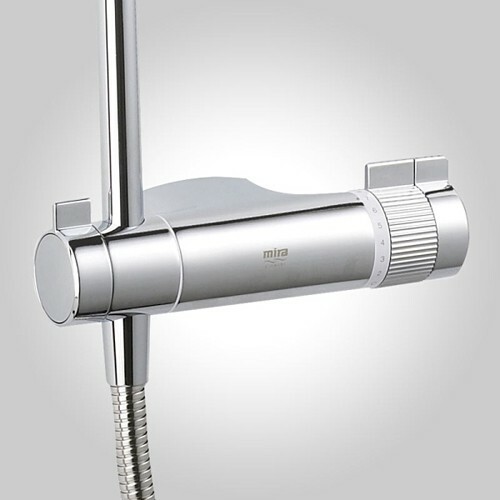 Mira Agile ERD exposed thermostatic shower valve in chrome with rigid riser kit. This clever little shower enables you to add plug-in accessories to create your perfect look. Enables you to add plug-in accessories (sold separately). Thermostatic temperature stability keeps showering safe for all the family. Separate temperature and flow controls to fine tune your perfect shower. 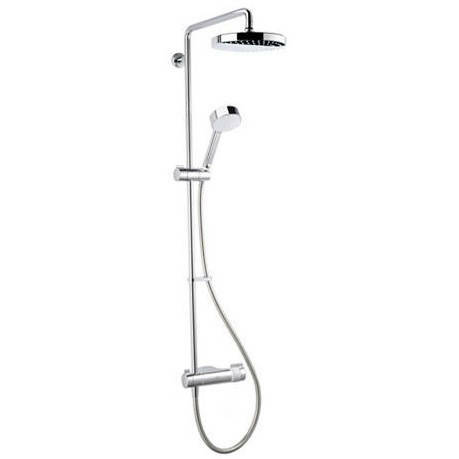 Rigid riser with round shower head, handset and hose included. Magni-Flo: gives up to 3 times more flow than similar mixer showers even at low pressure. Flush to wall uni body design eliminates conventional plumbing fixings for a beautifully smooth easy to clean form. Revolutionary new installation system with 50mm pipe centres for quick and easy installation. 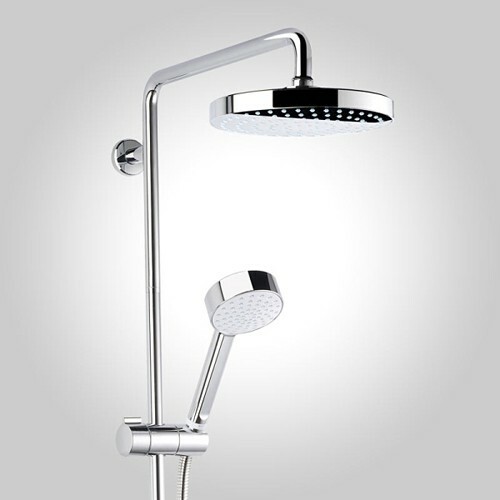 Divert between the overhead and hand held shower or have both heads on at once, even at low pressure. Single mode 90mm showerhead with a 200mm deluge head for an unbeatable showering experience (both with rub clean nozzles for easy limescale removal). Compatible with patented Mira Agile plug-in accessories for ultimate flexibility. Works on all systems and pressures. 5 Year guarantee: Mira guarantee this Agile shower for 5 years. 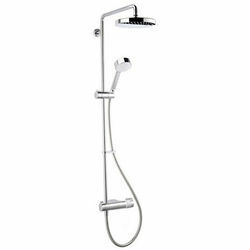 Mira Agile showers range is a neat, contemporary shower with a smooth, easy to clean form. Expertly designed, this contemporary shower delivers a powerful showering experience in your new bathroom.